People pack the dance floor at B.B. King Blues Club & Grill for “Salsa on the Square” every Thursday night from 7 p.m. until 1 a.m .on 42nd St. between 7th and 8th Ave. Friday doesn’t come soon enough for some people, so everyone interested in free Thursday night fun can slip on their dancing shoes and salsa with the others at B.B. King’s famous club. The music is loud and the lights are low. About 10 to 20 people pile onto the small floor for each song. A few seasoned salsa dancers remain on the floor constantly, eager to partner with anyone who asks. Salsa dancers of varying skill levels weave their hips to the pounding DJ beats and live bass and trombones. Many are native New Yorkers who are grateful for a chance to take a break from their working lives and display their obvious salsa-dancing experience. Others, like Swiss tourist Monika Schudel, are new to salsa dancing as well as the city. B.B. King’s also offers daily music shows ranging from R&B to jazz to rock and roll. 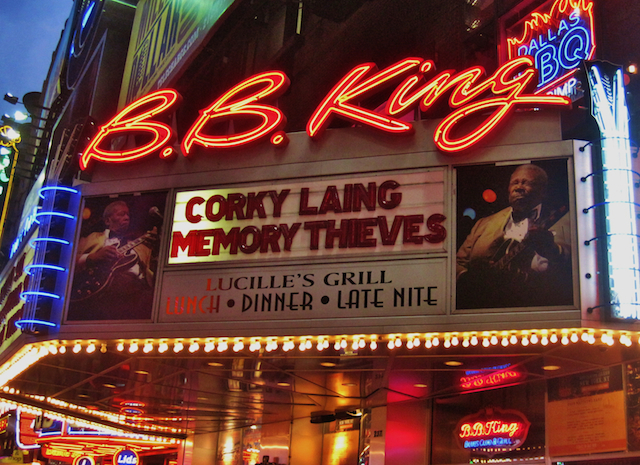 Tickets cost $15-$55 and are available at the box office from 11 a.m. until midnight or online at http://www.bbkingblues.com. Don’t forget to bring your friends down to Times Square for free salsa night!